Recently I attended the Annual General Meeting (AGM) of a Singaporean company in the electronics business. All shareholders get to attend AGMs, which I highly recommend for anyone who hopes to become a successful investor. There you get to meet the company directors and management figures who oversee or run the business. When you are thinking of putting serious hard-earned money into any business venture, you should meet the people running the show to get a feel of them – their calibre and their character, especially their integrity (you can buy a little bit of the shares first, say, $100 worth, just to attend the AGM before you decide to put in serious money). Sadly, the typical mentality of the man in the street is that he wants the profits from the stock market but doesn’t want to do the hard work of learning about the business he is investing in. This is one major reason why most people lose money in the stock market. At this particular AGM, I had the most engaging conversation with one of the directors. Like several of his colleagues on the board, he went for the lunch buffet after the official meeting and mingled with shareholders (a very good sign when directors do this – it indicates a willingness to engage with investors, be transparent, answer difficult questions and build up the company’s reputation in the market). This man is a seasoned venture capitalist and fund manager who has invested hundreds of millions of dollars into a plurality of startups in the Asia Pacific, including a biomedical science company now carrying out clinical trials for a drug for Alzheimer’s Disease. “Singapore has traditionally relied on good infrastructure to attract MNCs to invest here. But good infrastructure is no big deal anymore. Good roads, good airports – other countries can do it too [Blogger’s note: And they have much larger and cheaper pools of talent to draw on as well]. Thus the only way forward for Singapore and Singaporeans is to be entrepreneurial. “And it’s easier than ever to be an entrepreneur! Today you don’t even need a physical shop to sell something. All you need is a product and a smartphone app, or website. If you want to let people touch and feel your product, just rent a cupboard in someone’s shop. Or rent a little pushcart stall. If people like your product, they can order online. For instance, a little food business can scale up rapidly if it hooks up with a food delivery business like Foodpanda or Deliveroo. The Internet is an enabler. The barriers to entry have never been lower. “From Singapore, you can easily access larger, fast-growing economies like China, Vietnam and the Philippines. I was honestly quite stunned by what he said. I believe this sentence is going to stay with me for life. Singapore is one of the best places in the world to do business – a fact borne out by surveys such as this one by the World Bank. This is also an age where the life cycle of skills is rapidly contracting and traditional job security is more and more threatened by globalisation (I have a friend who was laid off in his 40s after his well-paying job at a bank was sent to lower-cost India, and has not been able to find another PME job after two years) and technological disruption. Thus the traditional model of success – study hard, score A’s, get a well-paying job – is becoming less and less assured. Yet so many JC students and their parents still seem trapped in the mindset of 20-30 years earlier. No doubt traditional academic excellence still has its place. Solid literacy, numeracy and a foundation in logical and critical thinking will always be applicable to the world of work. But the spirit of the entrepreneur – always curious, learning, exploring and boldly innovating – are just as much or even more needed in the world of today and tomorrow. 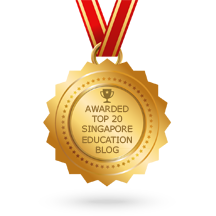 The blogger, a First Class Honours grad from NUS, retired from English and GP tuition at the age of 42 after a distinguished 14-year career. He is now inviting other tutors to list on this website (which is consistently ranked among the top 10 websites on Google for GP tutors) after being assessed by him. All interested English and GP tutors can email Steven Ooi at stevenooi18 @ yahoo.com (remove the spaces). This entry was posted in Random experiences of a GP tutor and tagged english tutors needed, gp tuition, gp tuition assignments, gp tuition singapore, gp tutors needed. Bookmark the permalink.